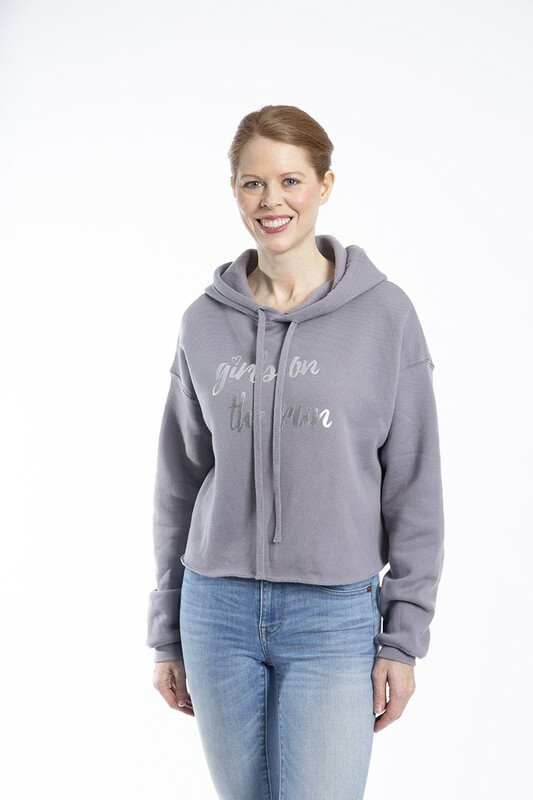 This trendy cropped hoodie is a must-have for cooler weather! It's raw-edge and matching drawstrings make it fashion forward while the soft and comfy fleece bring an unmatched level of comfort. 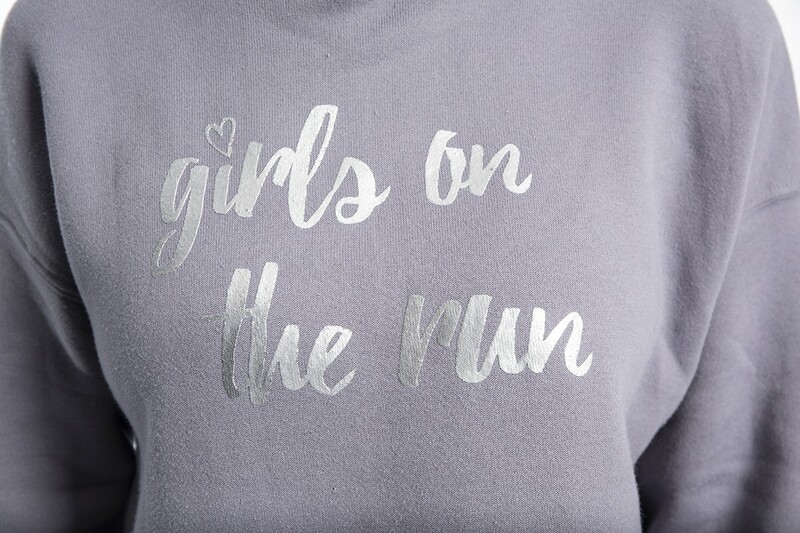 Features include: Girls on the Run in silver foil across the chest, dyed-to-match drawcord, raw hem, and dropped shoulder. Perfect fit. I wear a small but got a medium so it’s not as cropped. Very comfortable.